Recruiting and retaining key employees is important to every company, and a company's health benefit program is a key part of the compensation they offer to their employees. Due to the rising costs of traditional employer-sponsored health insurance, defined contribution health plans like health reimbursement arrangements (HRAs) are gaining popularity in the U.S.
Ready to implement a defined-contribution plan like a QSEHRA for your small business? The general concept of a Defined Contribution Health Plan is that a company gives each employee a fixed dollar amount (a "Defined Contribution") that the employees choose how to spend. Typically, employees are allowed to use their Defined Contribution allowance to reimburse themselves for individual health insurance costs. The sections outlined on our navigation bar provide more information about Defined Contribution Health Plans. The term Defined Contribution is a big buzzword in the health benefits industry. This section provides an overview of what Defined Contribution Health Plans are, and how they are used. First, let's start with a concept most people are familiar with. In the retirement space, Defined Contribution is a type of retirement savings plan in which the amount of the employer's annual contribution is specified, such as with a 401(k). Compare this to a pension plan where the employer specifies the benefit (a defined benefit). In health care, the same logic is followed. A Defined Contribution Health Plan is a type of health plan in which the amount of the employer's annual contribution to employees' healthcare (Ex: individual health insurance policies) is specified. Compare this to a group health plan where the employer specifies the group health insurance plan (again, a defined benefit). Defined Contribution Health Plans offer an alternative to “defined benefit” group health insurance plans. Just as employers realized the savings associated with moving away from defined benefit retirement pensions and toward Defined Contribution 401(k)s, many businesses are applying this model to their health benefits programs. The employer implements a Section 105 Medical Reimbursement Plan to give each employee a fixed monthly healthcare allowance to spend on an individual health plan. Employees select and purchase the individual or family health plan of their choice. Employees may purchase their own policy directly from any health insurance company, through a broker, or from the state Health Insurance Marketplaces. Depending on the employee's plan documents, employees may also purchase a number of other health care products and services that qualify as eligible HRA expenses. The employer reimburses employees up to the amount of their Defined Contribution allowance. Defined Contribution Health Plans by themselves are not health insurance plans. Defined Contribution plans give the employer control of benefits, while giving employees choice and a great benefit. Individual health insurance cost 20% - 60% less than comparable group health coverage. The employer’s healthcare dollars go farther. Contributions are tax-deductible to the employer, and employees receive reimbursements tax-free. There are no minimum or maximum contribution amounts, and no minimum participation requirements. Depending on the plan . employees may have access to the federal individual health insurance tax subsidies through the Health Insurance Marketplaces. So, how else is the term "Defined Contribution Health Plan" being used? One popular variation is a type of Defined Contribution within group health insurance offerings. With a group-based Defined Contribution model, the business sets an amount to contribute to employees' health insurance premiums, but provides a limited menu of group health insurance options (for example, employees choose from 2-5 insurance policies). This type of "employee choice" group health insurance offering is common with larger businesses. It is also one of the features that some state small business SHOP Marketplaces offer to small businesses as part of health care reform. Tip: In this guide on Defined Contribution Health Plans we are focusing on a “Pure” Defined Health Plan model, paired with individual health insurance. There are three key questions to ask when designing your Defined Contribution Health Plan. These three questions will help you customize a plan that achieves your employee health benefit goals (and meets your budget). When will the plan year start? Your company will decide when your Defined Contribution Health Plan will start. What monthly allowance amounts will you provide? You probably already have a budget in mind for health benefits. Within this budget, how will you divide up employees' monthly allowances? You can provide the same monthly allowance amount to all employees, or you can provide different monthly allowances to different types of employees. This is also called employee classes. Classes must be based on bona-fide job criteria such as job title, location, etc. You can also vary the allowance amounts by family status (single, married, etc.) within an employee class. Using employees classes this way is most commonly seen in the individual coverage HRA (ICHRA). See: The individual coverage HRA (ICHRA)'s employee classes: How do they work? When are employees eligible for the plan? What criteria makes employees eligible to participate in the Defined Contribution Health Plan? For example, do they need to work a certain amount of hours weekly, have a certain job title, or be employed for a certain number of days? (Note: the maximum waiting period is 90 days). These criteria will set employee eligibility for the Defined Contribution Health Plan. Defined Contribution Health Plans that use a Section 105 Medical Reimbursement Plan as the foundation are considered group health plans. As such, they must comply with IRS, HIPAA, COBRA, ERISA, and the Affordable Care Act (ACA) rules. This section details compliance requirements that may impact your Defined Contribution Health Plan. Tip: Use a Defined Contribution Software Administrator to make compliance easy. Non-Discrimination: Defined Contribution Health Plans must comply with IRS nondiscrimination rules. The rules state the plan must not discriminate in favor of highly compensated individuals (HCIs) with respect to eligibility to participate in the plan or benefits provided under the plan. HIPAA Privacy Rules: Defined Contribution Health Plans are governed by HIPAA Privacy Rules. In order to administer a Plan correctly, the entity processing employee reimbursement claims receives Protected Health Information (PHI) that is required to be held confidentially under HIPAA. COBRA Compliance: Employers must give terminated employees the option to continue their participation in the Defined Contribution Health Plan for a period after termination, and may charge an employee up to 102% of the value of their allowance if COBRA is elected. Summary Plan Description: Defined Contribution Health Plans are employee welfare plans under ERISA. ERISA requires every [welfare] plan to have a Summary Plan Description (SPD) and to furnish copies to each participant. Annual Limit Compliance: Section 2711 of the Public Health Services (“PHS”) Act, as added by the ACA, provides that no annual or lifetime limits may be placed on essential health benefits (“EHB”). PHS Act 2711 provides that annual limits and lifetime limits may be placed on benefits that are not EHB, such as health insurance premiums. Defined Contribution Health Plans must be designed to comply with PHS 2711. Preventive Care Compliance: Section 2713 of the PHS Act, as added by the ACA, requires group health plans (including Defined Contribution Health Plans) to cover basic preventive health services without cost-sharing. Dependent Coverage for Adult Children up to Age 26: Section 2714 of the PHS Act, as added by the ACA, provides that group health plans (including Defined Contribution Health Plans) that make available dependent coverage of children must make such coverage available for children until 26 years of age. 60-Day Notice of Material Modification: The ACA requires employers to provide 60 days advanced notice to participants when making material modifications to their group health plan (including Defined Contribution Health Plans). This section outlines how to implement a Defined Contribution Health Plan. There are five simple steps to implement a Defined Contribution Health Plan. Step 1: Do not offer a group health insurance plan. Step 2: Define any amount you can afford for health benefits, and use Defined Contribution Software to give each employee a fixed dollar allowance to use for individual health insurance. Step 3: Select an Insurance Professional, and/or provide information about the Health Insurance Marketplaces to help employees shop for and purchase individual health policies. Step 4: Educate employees about the Defined Contribution Health Plan, and about the advantages of individual health insurance. Step 5: Use Defined Contribution Software to reimburse employees via payroll. Because of compliance reasons, and for ease of use and time savings, most businesses use a third party to administer the plan. In the next section, we’ll discuss Defined Contribution Administration Software in more detail. Defined Contribution Health Plans are an alternative to traditional employer-sponsored health benefits, allowing companies to reimburse employees for individual health insurance. Employers use a Defined Contribution Administration provider to stay compliant, and to make administration easy. As you evaluate Defined Contribution Administration Software providers, keep in mind these 14 features to expect from your provider. The Defined Contribution Administration Software should allow you to give employees their allowances monthly or at any time on an exception basis—with automatic monitoring of HIPAA and ERISA discrimination compliance rules. Deferred allowances (a waiting period) should be possible for new hires, and suspended allowances should be allowed for former employees that employers hope to re-hire on a seasonal basis. Employees should be able to submit requests for reimbursement online, by fax, or by mail, and immediately receive an email acknowledging their request and providing an online link to monitor status. 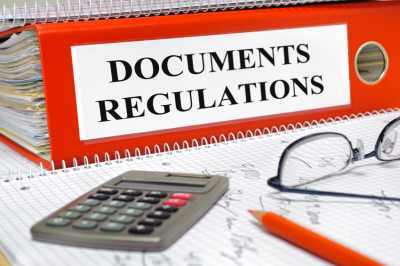 Documentation should be permanently available online for convenient access by employees. The Defined Contribution Administration provider should process reimbursement requests within 24 hours and employees should be able to inquire about their claim via online chat, email, fax, mail, or telephone. No request should be rejected for improper or incomplete submission without multiple contacts. All employee contact should leave clear audit trails and meet appropriate regulatory guidelines (e.g. ACA, IRS, HIPAA, ERISA, SAS 70). Look for software that provides “real-time” tracking on requests, available online 24/7. Employees should receive email notification when their reimbursement request is approved and again confirming when (and how) it is reimbursed. Reimbursement should be administered individually or on a periodic batch basis via check, payroll addition, or direct deposit leaving a clear and permanently-available audit trail. All employees should have access to an online ledger showing their current balance, allowance, requests, and reimbursements including permanent storage of receipts, relevant tax information, Plan Documents, and the ability to save or export their own medical information via the administration platform. The Plan Document, Summary of Benefits and Coverage (SBC), and SPD (Summary Plan Description) should be electronically created, readily accessible online, and signatures should be collected electronically. Employers should be able to administer a change to benefits for any specific Class of Employees at any time and the electronic documents should automatically change and, where required, new electronic signatures should be collected when the employee is next online. Employers should be able to instantly create unlimited different Classes of employees with each Class receiving different benefits by employee family status. Employers should be able to completely set up and/or change both their Defined Contribution Health Plan and their Plan Documents simultaneously online. Employers should be able to view all reimbursements by employee or by Class of employees, and monitor in real-time claim information for each Class of employees. Employees should be able to see 3-5 prior years of history. All information for required administration reporting (e.g. 5500 for employers with more than 100 employees) should be available online in real time, and non-eligible plan participants (e.g. independent contractors, owners of Sub S companies) should receive appropriate 1099 information. Defined Contribution Software should automatically provide the employer’s health insurance broker a CRM (Customer Relationship Manager) to best serve their employees—including automatic notification to the broker when an employee’s Defined Contribution plan status changes due to family additions, promotions, etc. The employer should be automatically protected and the plan administration made HIPAA Compliant through technology rather than the training of administering employees. For example, employers should not be able to view HIPAA-protected employee information, and should automatically follow Department of Labor, HIPAA, and ERISA guidelines for employers allowing insurers’ access to their employees. This section answers frequently asked questions (FAQs) about Defined Contribution Health Plans. Is there a Maximum Employer Contribution Limit for Defined Contribution Health Plans? No. There is no limit on the amount of money an employer can contribute to an employee’s Defined Contribution Health Plan. Also, there is no minimum contribution requirement. In other words, the employer can choose exactly how much money they want to contribute from $0 to an unlimited amount per month. Is there a Minimum Employer Contribution Requirement for Defined Contribution Health Plans? No. There is no minimum contribution requirement that employer must contribute to an employee’s Defined Contribution Health Plan. Also, there is no maximum contribution limit. Is There a Minimum Employee Participation Requirement for Defined Contribution Health Plans? No. There are no minimum participation requirements that a company must meet in order to offer a Defined Contribution Health Plan. Also, there are no maximum participation requirements. A Defined Contribution Health Plan can be offered by a company of any size even if only one (1) employee chooses to participate. Can a Company or Employer Give Employees Different Amounts with Defined Contribution Health Plans? Spell out the requirements for classes and benefits in the ERISA plan document. If, upon audit, a Defined Contribution plan is found to not comply with these rules, then the employer must provide the same level of benefits to all employees, regardless of their class, from the time the plan was created to the date of the violation. Why Can't Employers Just Pay Directly for Employees' Individual Health Insurance Plans? Some companies might want to pay directly for an employee's individual health insurance plans without utilizing an ERISA and HIPAA-compliant Defined Contribution Health Plan, but doing so will put the employer out of compliance with federal regulations and increase the employer's (and employee's) tax liability. How Can Employers Contribute to Individual Health Insurance Plans without Violating Federal Law? The employer can use an ERISA and HIPAA-compliant Defined Contribution Health Plan to contribute to employees' individual health insurance costs without violating federal law. The federal government has guidelines for employers who want to contribute to an employee's individual health insurance premiums. Specifically, the employer must take special steps to avoid "employer endorsement" of the individual plans. Employers must not pressure employees to use the Defined Contribution to pay for individual insurance coverage. In addition to reimbursing for major medical health insurance premiums, employers should also allow the use of funds for qualified supplemental coverage. Employers must limit their role to simply verifying that a qualified expense (such as an individual health insurance premium) was incurred, and then reimbursing such amount from the Defined Contribution Health Plan. How Do Defined Contribution Plans Vary by State? 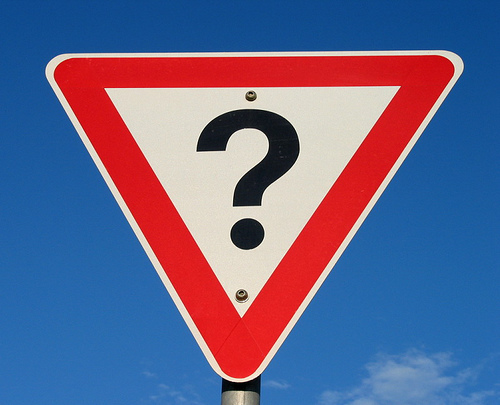 Do you have additional questions on Defined Contribution Health Plans? Contact us. We’d be happy to help. Pure defined contribution health models are fast becoming popular with small businesses. With pure defined contribution a business contributes a fixed dollar amount (a "defined contribution") toward employees' health insurance costs. A simple way to think about it is providing a health insurance allowance to employees. >> Read more. There are two main reasons why businesses should use Defined Contribution Software to administer their defined contribution plan: 1) Time savings/ease of use, and 2) Tax-savings/compliance. >> Read more. What is a "Pure" Defined Contribution Health Plan? Pure defined contribution health plans are fast becoming popular with small businesses as an alternative to group health insurance. With a pure defined contribution plan a business contributes a fixed dollar amount (a "defined contribution") toward employees' health insurance expenses. >> Read more.